Rhys will be speaking about what leaders should focus on if they want their organisation to truly revolve around the customer. Jeff Bezos of Amazon calls this customer obsession and there is a lot we can learn from it. 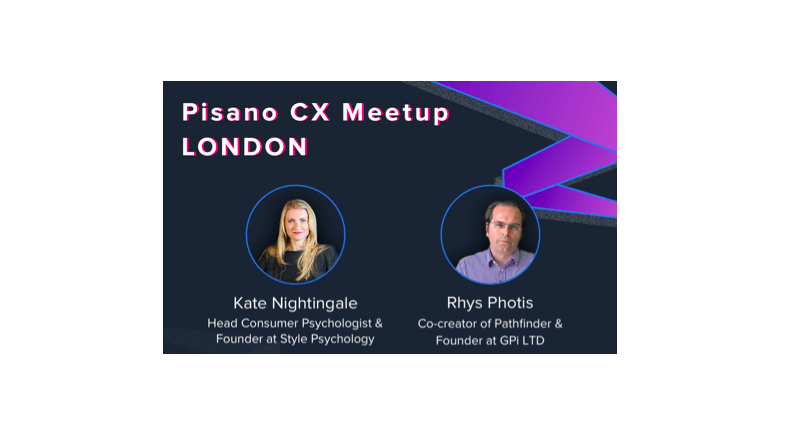 @Kate Nightingale, Head Consumer Psychologist & Founder of Style Psychology will talk on “What can science teach us about the human way of designing customer experience?” This promises to be an insightful evening at the rather relaxed Grant Thornton Lounge @ Finsbury Square. The event is hosted by www.pisano.co, 5.30—8.30pm on 25thJuly. Let us know if you’d like to come along: contact[at]GPiOnline.com.